If you are long overdue for a trip to the drugstore, or simply hit the snooze button one too many times this morning, you may find yourself struggling to get up and at ’em today. Maybe it’s rusty razor blades, your chipping gel manicure snagging on your favorite black Spanx tights, or hair and makeup that just refuses to cooperate with your day’s plans. What’s a girl to do? With a little bit of organization, a plan B for wardrobe malfunctions, and the right attitude, you can get yourself through the most challenging of mornings. You may have a comfortable routine worked out for yourself when it comes to how often you shave your legs and underarms. However, there is all too often that unexpected turn of events that can force you to throw your normal shaving routine out the window. Unanticipated high temps that make you want to don a tank top? Invited to swim in your neighbor’s brand new pool? Maybe Mr. Wonderful called you for a night on the town. And as we all know, altering that routine can lead to uncomfortable and unsightly razor burn and bumps that make you feel like less than the goddess that you are. And what if you don’t even have a new razor for the job? Who among us hasn’t struggled with the temptation to shave with a razor that is dull, or that’s gotten rusty? Board-certified dermatologist, Jeanie Chung Leddon, tells Reader’s Digest that women should be aiming to replace their razor every three to four days, and should never keep it in the shower, where the moist conditions can encourage the growth of fungus, bacteria, and yeast. Razor infections are no laughing matter — they can cause pus-filled bumps, red boils, or a crusty condition called impetigo. So stock up on those extra-value bags of razors the next time you are at the store. As for the rusty razor? It isn’t worth it! 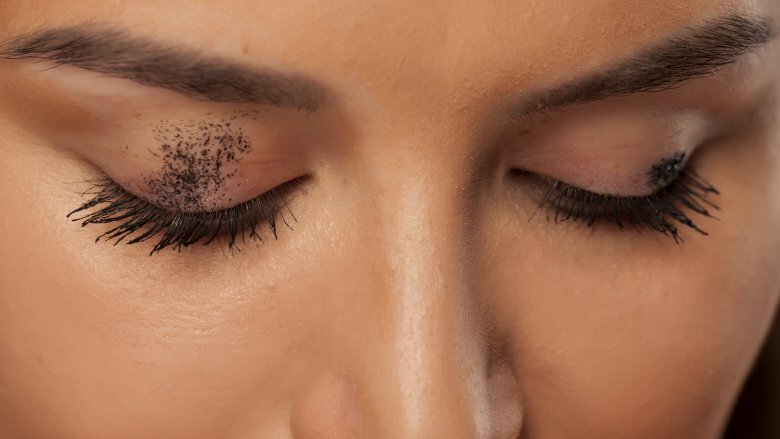 From sneezing while applying mascara to dealing with seriously mismatched winged eyes, there are just too many makeup mistakes that can drive you to wash it all off and start over again from scratch. Who has time for that? InStyle recommends utilizing a cotton swab dipped into liquid makeup remover. Dab at the area you wish to correct until the offending mess is swept away, leaving you to have another go at perfecting your look. They also recommend makeup removing pens that can quickly fix your makeup error, while also moisturizing the skin. To avoid mascara-induced raccoon eyes, try using a plastic or metal spoon to rest your lashes on while you apply. The spoon will collect the excess product, sparing your expert eyeshadow application. Nothing can alter the way you look and feel in your favorite outfit like having your period. If cramps and sore breasts weren’t enough, the belly bloat that affects 70 percent of women during their monthly bill is enough to make you wish that velour track suits would come back into style. Women’s Health reports that there are a number of dietary tricks that will aid in alleviating the bloat and puffiness that your period can bring. They advise consuming foods rich in potassium and protein, as well as natural diuretics like cucumber, ginger, lemon juice, and watermelon. Healthy fats are also on the de-bloating menu, as they help to lower prostaglandins, the hormones responsible for bloating and muscle contractions. Foods to avoid include those associated with gassiness, like cabbage, broccoli, and beans, as well as caffeine and alcohol, which can exacerbate PMS symptoms. They also recommend getting your sweat on with low intensity workouts like swimming, but abstaining from high intensity workouts like CrossFit, which could cause inflammation. No matter how gracefully and skillfully you adjust your body to pull your clothes on over your head, there always seems to be that one, mysterious line of anti-perspirant that finds its way onto a part of your dark colored clothing. Lipstick can be just as tricky, transferring its impossible-to-wash-out hue onto your favorite white shirt. So what’s the solution? 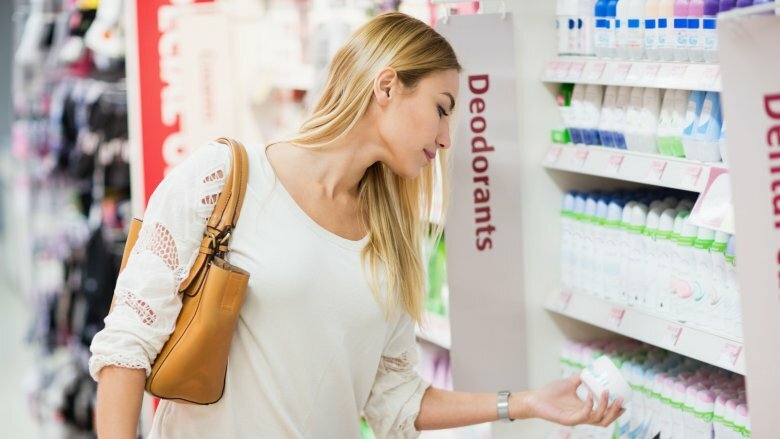 Roll-on or clear deodorants will give you less to worry about in the antiperspirant stain department. If you do find yourself with a stain, YouBeauty suggests dabbing at it with a wet washcloth until the mark is removed. Lipstick can be a lot trickier, Robert Bell, co-owner of THREADS dry cleaners told TODAY — so do yourself a favor, and don’t apply it until after you’ve gotten dressed. If you are already stuck with a stain, just tell yourself you really weren’t meant to wear that shirt tonight after all. For treating the stain, plan to visit a professional dry cleaner, or treat the stain with a grease fighting soap like Dawn dish soap. Just remember never to throw a lipstick stained item directly in the washing machine — the wash cycle will set the stain permanently. How often have you bypassed the perfect accessory to match your outfit, only because it was so incredibly tangled with everything else in your jewelry box or accessory drawer that you simply didn’t have the time to deal with it? It’s a real struggle that all too many of us face, but with a little bit of organization, you never need to bypass that perfect necklace or set of earrings again. 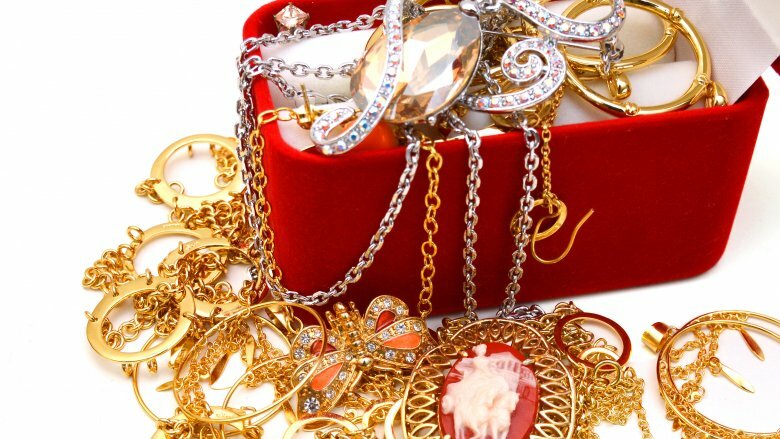 Glamour’s Accessories Editor, Maria Duenas Jacobs, advises keeping jewelry items in separated containers, trays, and boxes. Some of her collection ultimately becomes parts of her decor, and she makes sure to separate her more prized, personal pieces from the rest of her collection. At Better Homes & Gardens, they have lots of ideas for keeping your jewelry neat and tidy. Ready-made drawer inserts, hanging wall organizers, or even a DIY corkboard covered with your favorite fabric are all great ideas for your growing collection. But what to do if your favorite necklace seems tangled beyond repair? According to the gang at PureWow, you only need three things to save that prized piece: a sewing needle, some baby oil, and lots of patience. Carefully work out the knots with the sewing needle, while the baby oil helps to move things along. We’ve all been there, ladies. 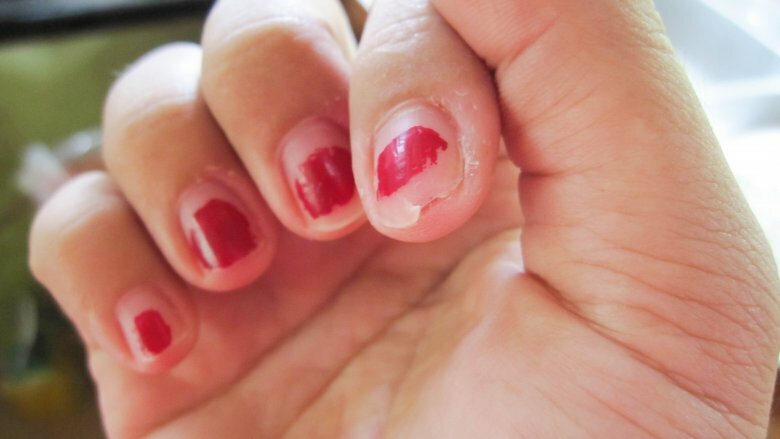 You have an appointment scheduled for two days from now with your favorite nail technician, but your nails are in sorry shape. The kind of shape that has them snagging on your hair and clothes throughout the day, or toenails that catch on your stockings and socks. Cosmopolitan offers some tips on how to get the most out of your manicure. If you have traditional polish on your nails, you can file down the tips, and apply an extra layer of topcoat to get your through until your appointment. For a gel manicure that is growing out, a heavy glitter polish applied in an ombre style just above your cuticles will fill in that blank space between your cuticle and gel polish. If it’s your pedicure that needs help during sandal season, keep a spare bottle of nail polish handy for touching up the big toe until you can get to the salon. The eternal question — and it doesn’t seem to get any easier as we get older. Agonizing on a daily basis about how many layers we will need, whether our shoes are comfy enough to last the day, if that adorable shirt is appropriate for work, how recently you’ve been seen in that same dress, or the devastation of realizing that your go-to outfit is still at the dry cleaner — it’s enough to make a girl wish she could spend every day in a private school uniform. In Style recommends filling your closet with simple, classic pieces that can be mixed and matched for countless looks. Think camel blazers, pencil skirts, solid colored shift dresses, and white blouses. If you want more choices every month, but don’t have the time to shop, consider a monthly clothing subscription service. Urban Tastebud ranks and reviews the top 32 choices for subscription boxes that include everything from outfits, accessories, shoes, workout gear, and lingerie. Some days it really does seem like your hair is holding a grudge against you, refusing to shape itself into that cute style that you’ve never had any problem achieving before. Other days, it’s the rainy or humid weather that can make the best of us look like we are wearing a puffy mop or a wet dog on our head. 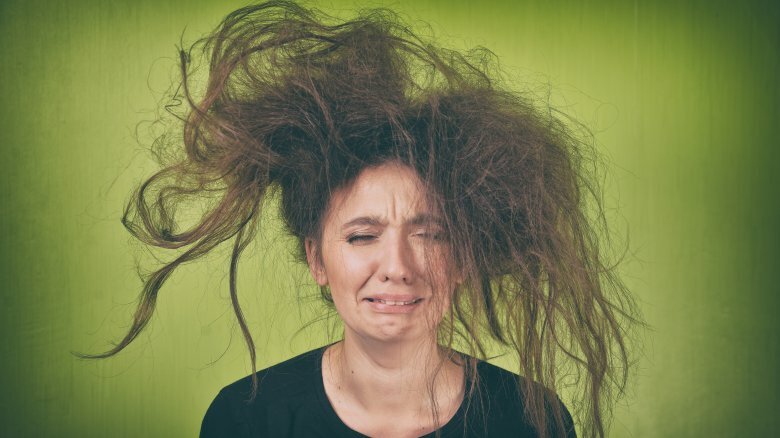 Real Simple has nine great ideas for getting through the worst hair days. Recommendations include putting dirty locks into a braid, brushing frizzy hair with a bit of hairspray spritzed onto a brush, dry shampoo for oily hair, and alternating the part in your hair to avoid hat head. Whether you work for a company that still requires a woman to wear pantyhose, or simply want to don a pair of opaque black tights and boots while you run to fetch your pumpkin spice latte, there comes a day when you have to reach your hands into that part of your drawer where you keep your hosiery, and hope for the best. To play it really safe, you could stock up when your favorite brand is on sale, saving yourself forever from the frustration of every pair of tights having runs in them. But sometimes, you just don’t want to say good bye forever, especially to some of those pricier tights that can run $20 or more. Enter the old nail polish trick. A bottle of clear nail polish and a pair of scissors is all you need to stop a run right in its tracks. While you are wearing the tights, gently pull the tights away from your body, and dab a small amount of nail polish anywhere the run could continue to run vertically. For holes, make sure you dab around the entire circle. Allow the nail polish to dry completely, and then use your scissors to cut away any frayed threads. As long as the run you have repaired is not visible in your planned outfit, this trick could last you a few more wears until you can replace your tights. 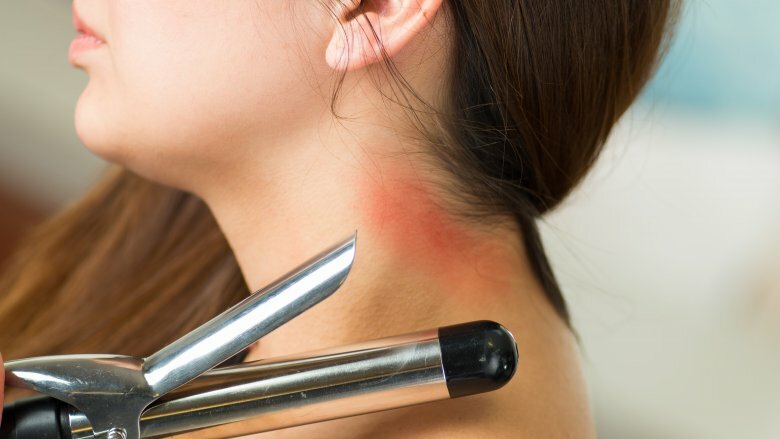 Take it from a lady whose pin-straight hair will only curl when using a professional curling iron set to 450F — burns from a styling iron are no laughing matter. Women’s Health has the skinny on how to take care of those burns, along with some pretty gnarly pictures of just how bad those burns can get. They spoke to Valerie Goldburt M.D., a cosmetic surgeon and dermatologist, who recommends that you don’t run the burn under water or apply ice, which could “slough off” the burnt skin. Instead, apply a cold compress to the skin, and take some ibuprofen to minimize pain and inflammation. It’s important to keep the area clean, moisturized, and covered, so apply an antibiotic ointment to the area regularly, and keep it bandaged. As the wound heals, make sure not to pick at the scab, and to continue treating the area after it has healed, to prevent excessive scarring. Goldburt says that a burn could take up to three full months to heal completely. If the morning routine still isn’t coming together for you exactly how you planned, remember, your attitude about the situation is really what is going to make or break your day, not a missing hair tie or less than ideal outfit. If you find yourself constantly giving in to the struggle, and letting your “getting ready” anxiety cast a negative light on the rest of your day, then it is time to take a step back, and really assess your situation. Do you need to wake up a tad earlier? Are you due for a trip to the warehouse club for a new vat of shampoo? Or would you benefit from a mindful, morning mantra that can help you to start the day with a sunnier outlook? The Huffington Post has 21 suggestions for positive thoughts that can start your day off on the right note. Encouraging words like “I dedicate today to love and kindness,” or “Thank you for this gift of a whole new day. I am grateful,” can give you just the boost you need to get you sailing through that morning routine, and beyond.